Virtual SAORI Kai II – Dragonflies & Spirals Oh My! Noreen is a designer of many things, bringing dreams and wonderful creations to life. 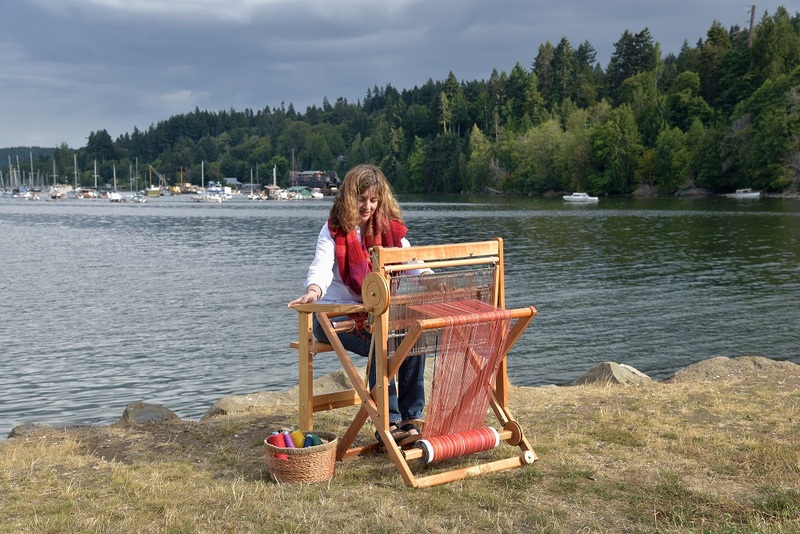 She is a woman of many talents including knitting, crocheting, spinning, weaving and more. One of her loves is small looms – of which she has many – including a SAORI loom. I love dragonflies- they have a way of making me stop and feel wonder and awe at the beauty of nature and life in general. It is no surprise to me that so many people who are engaged in healing find that the dragonfly, and it’s spiral path, symbolizes the healing journey. 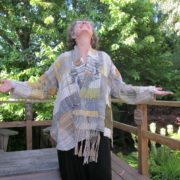 I have been feeling the need for some dragonfly energy in my life, and so, I have woven a Saori prayer shawl or healing wrap that is an invocation to the dance of the dragonfly. Here is the link to my blog post that has more of pictures of the dragonfly wrap. http://saltspringweaving.ca/wp-content/uploads/2016/11/SAORI-Salt-Spring-logo-1-1030x158.jpg 0 0 Terri http://saltspringweaving.ca/wp-content/uploads/2016/11/SAORI-Salt-Spring-logo-1-1030x158.jpg Terri2012-12-05 18:11:402012-12-05 18:11:40Virtual SAORI Kai II - Dragonflies & Spirals Oh My! Thanks so much for your contribution to the Kai – I LOVE this shawl and it is a great combination of weaving and embellishment! Very inspiring. How beautiful Noreen, and how completely relevant for you Terri, lover of dragon flies. The colours arewonderful, the dragon fly embroidery is fine and the mobius just brings it all together. Thank you for such inspiration!